The Angelic Doll by Tama Toys is your ideal sweet Japanese female companion and "a very obscene girl." Young, petite, and tender, this angel with large anime eyes is sitting down and waiting for your attention. The plush toy is recommended for anyone with a hankering for Japanese girls with small bodies. The seated pose makes her perfect for enjoying in a range of positions. 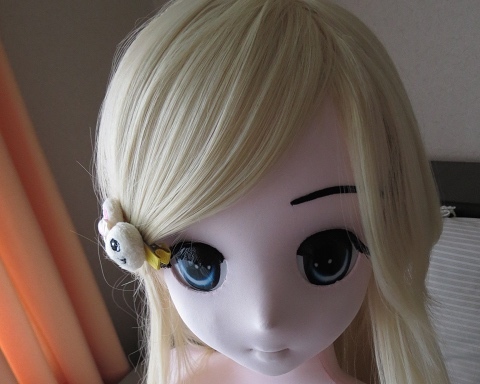 In addition to the doll itself, the set includes a wig, face print, inner mask, and camisole. 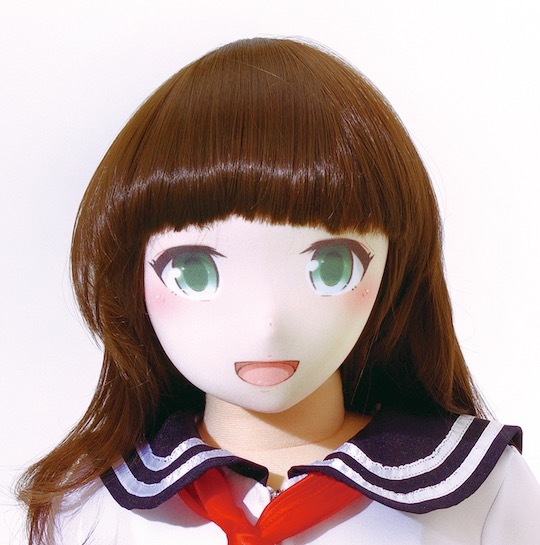 In addition to the standard face print mask, you can also add one of several optional faces with different expressions: smiling, upward gaze, embarrassed, pained (one eye closed), ahegao (orgasmic), and torogao (melting with pleasure).